The City of Surrey posted its animated vision for light rail in 2011, and set up a rapid transit office in the same year. A detailed route plan is finally on the way, we are told, but there is no clarity on who will pay for construction. Surrey is British Columbia’s second largest municipality by population, and ranks twelfth in Canada as of this post. Under former mayor Dianne Watts, city government invested heavily in the Surrey Central precinct to create a focus for advanced education, culture and technology. Surrey wants to compete with Vancouver in terms of national profile, employment quality and career opportunity. Rapid transit is part of that story. The hub of the proposed LRT system is to be located at Surrey Central, with connections to the Skytrain line that feeds into Burnaby and Vancouver. Shown in broad strokes in the regional mayors’ 2014 transit proposal, the proposed new Surrey LRT lines run from Newton to Guildford in an L (south to north and then east), and from downtown Langley to central Surrey. Surrey business groups and some community groups have created a pro-LRT coalition called Light Rail Links. However, there is pushback from those who favour Skytrain technology. Their arguments, which dominate many of the chat threads on news sites, are summed up on the Skytrain for Surrey site. This appears to be the work of a lone contributor named Daryl dela Cruz, but its search engine presence is strong. For the Skytrain partisans, LRT is too slow, it doesn’t move enough people, and it may conflict with vehicle traffic. As a confirmation of the last point, Calgary saw four vehicle/LRT collisions in December 2015, one of them fatal. The three surviving motorists were all charged with trying to race the train. The safety of LRT is, therefore, up for debate. I would point out, however, that mayhem and death is common on our roads even where there is no LRT in sight. The three top crash locations in Surrey produced more than 500 collisions in 2013. The fact is that Skytrain and LRT are different creatures and have different functions. Skytrain is the rapid transit equivalent of a freeway. It moves large numbers of people over long distances. It’s expensive to build, its elevated guideway is ugly, it seems to propagate tower development rather than village development, and even then the towers are often deficient in commercial services. The intention in Surrey, judging from the consultant’s report, is to use LRT to build neighbourhoods rather than flying over them, and also to build a more densified local economy rather than shipping people to other jurisdictions. Funding for Surrey LRT is a muddle partly because the Metro Vancouver transportation authority’s funding plans were based on a tax increase that was voted down in 2015. Surrey City Hall deserves credit for carrying the cost of LRT project development, but it cannot proceed to construction without regional dollars. Prime Minister Justin Trudeau promised federal cash for Surrey in the 2015 election campaign, and the BC Liberal government says it will “aggressively lobby” Ottawa to make good on this promise. However, a federal contribution — through a “P3 Canada Fund” set up by the former Conservative government — was always part of the LRT calculation. The key question, in my view, is whether the provincial government will play a constructive part in putting together a regional funding package. The City of Surrey’s LRT website says the public is to be consulted in 2016 on “community integration, which will look at elements like access to stations, roadway changes to accommodate the new line and components of station design and construction management.” A June 2015 staff report to Surrey City Council said consultation work was to be completed in time to meet a March 2016 submission deadline for the P3 Canada Fund, with the submission to include “additional engineering design, geotechnical work and preparation for environmental assessment.” However, there is no sign that any consultation events are planned. Perhaps community engagement has been deferred to the next planning round. a) The Technology argument, which is moot, since all metro and light rail systems are build-to-order, and not off-the-shelf standards. The general consensus among technology enthusiasts is that they would prefer not balkanizing the RAPID TRANSIT network, as that increases costs for land, staffing, training, pensions, administration, and so forth. So extending the existing system makes sense to connect all the town centers as rapid transit. 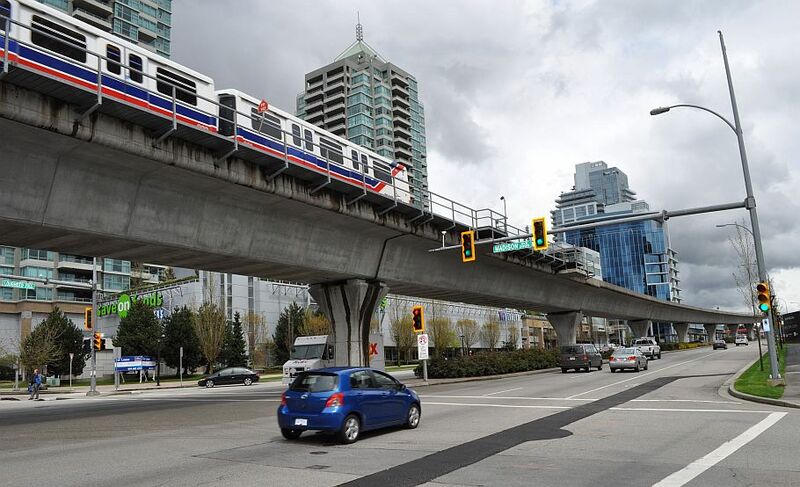 What Surrey is proposing is worst-possible compromise, a “light rail” speed street car down the median of a highway. 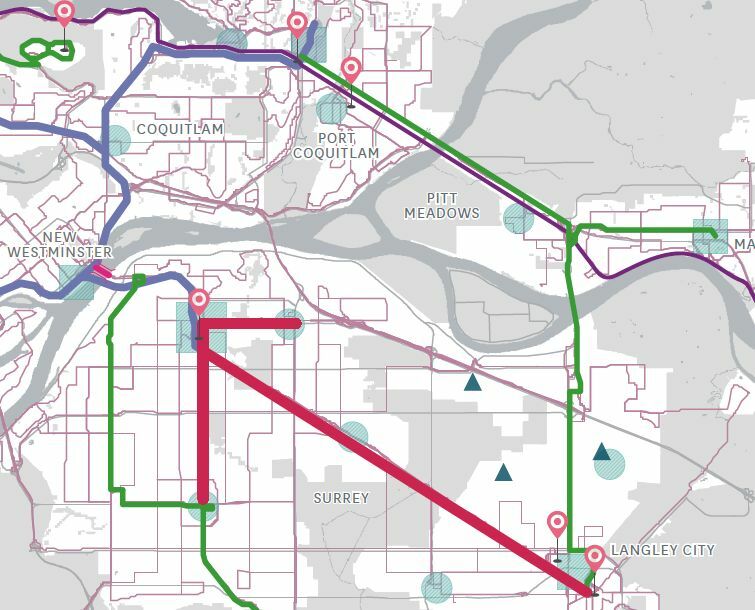 You will find the majority of the technology argument focuses on the Fraser Highway part because it comes at Langley’s expense, who has indicated they want a Skytrain extension. Nobody really cares if Bombardier or a Chinese company builds skytrain or light rail cars except from a Canadian Jobs perspective, which leads to the next argument. b) Surrey made a big deal about the light rail creating jobs and “costing less”, but this is smoke and mirrors, since construction jobs will come no matter what and when something is built. The only difference in jobs from streetcar/light-rail drivers as a bottleneck for capacity. If Surrey is trying to use “Jobs” as a selling point, then we better see built-in-Vancouver light rail trains. Something tells me we won’t. Automated systems allow for flexible scheduling, while driver-required systems are limited to the number of trained staff, and if anyone gets in an accident, you lose that driver for months or years for medical leave. This why the light rail business case is so poor, BRT was even cheaper than the light rail business case, but the Skytrain extension actually has the most benefits. Which brings me to the last argument. c) Safety. The only safe rail system is one that is grade separated from road and pedestrian traffic. Every light rail system around North America that has not done this, incurs a scale of accidents (many fatal) based on how separated the rail ROW was from conventional traffic. Houston and Santa Monica have the most dangerous light rail systems because there are no barriers between cars and the rail system operates at high speeds. This is “copying Portland” without understanding what makes Portland work. Portland’s system also has quite a few dedicated sites decrying poor staffing management. You never hear about any of these problems with the Skytrain because the Skytrain can’t hit a car or a person on the tracks, and there are no drivers to “manage.” A great deal of safety problems are the result of people’s short-term thinking, rush to action, instead of long term planning ahead. Adding to the misunderstandings in Vancouver is a certain UBC Professor of Urban Design who is interviewed all the time about transit who is all about trying to reduce Metro Vancouver’s mobility in the name of sustainability. I say the sustainability part is noble, but you’re not going to get there by ignoring rapid transit requirements. People do want to visit their friends, and enjoy entertainment, and that isn’t going to be found in that 20 minute walk that everyone is supposed to find all their life necessities in. So building a “people scale” transit system requires running transit vehicles at slow speeds that both people and vehicles can share the street, but this only works for the 10km/h street car. People will go back to their car for anything that doesn’t get them where they want to go. I’ve lived in places where people get out their car to drive down to the end of the block. What Vancouver has is a very efficient metro system with high frequency, so frequent that it doesn’t have a fixed schedule and you can expect a train in under two minutes during peak time. That is something that is impossible to do with light rail and can only be done with a driverless option. Nobody said anything about driverless buses or driverless BRT until the bus drivers union complained that Translink was even being offered to try one. For the record, I’m in favor of expanding the Skytrain, and the various transit/transportation forums I read are all also in favor of expanding the Skytrain. Most disagreement tends to come from “who pays” for it. 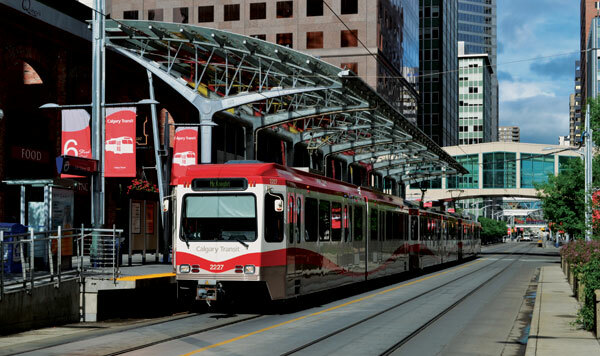 Many of us on such forums consider the Trolley-bus system to be more flexible than at-grade streetcar/light-rail proposals, and would rather see BRT between White Rock and King George station because that involves one less transfer. Yet the same people who mention “ugly guideway” in regards to the Skytrain, seem to not see that the tracks in the street do more to divide a community than the guideway ever can. Edmonton can tell you all about it. You’ll note that the majority of the newspaper comments that “support light rail” come from the exact same two or so sources. Daryl collects the information for the Skytrain for Surrey Website mainly as a counter to misinformation campaigns by the City of Surrey, and to also counter a misinformation campaign run by someone who wants to see the Interurban come back as the only transit link in Surrey. I’d suggest people read Jarrett Walker’s blog on Human Transit before they pick sides in a technology fight. He has covered all the repeated arguments that come up, and it’s never a question of technology, it’s a question of “Who isn’t in the room” when the decision is made. In the case of Surrey, they decided on Light Rail because they conversation was about Urban Design, and not meeting the mobility needs of Surrey’s transit riders. Surrey already gets the short end of the stick because of the way the city sprawls, and it’s only going to end up with a shorter stick by building the light rail as proposed since it will come at the expense of their bus service. I’ve posted this thoughtful comment with my usual reluctance around promoting the culture of avatars and handles. In civil society participants attach their names to their positions, especially where the issue has financial consequences for all of us. I think we really need to step back a bit and ask ourselves, what is the purpose of these lines? Different degrees of grade separation/automation/capital expenditure can produce different results. I fear that Surrey’s goal appears to be ‘development’ or ‘community building’ rather than mobility improvements. Rapid transit is a VERY expensive way of community building, especially since Surrey has had a very poor record in urban development to date. I am not expecting that the building a LRT will magically make Surrey stop approving strip malls along its arteries (but I would expect increased urban development in Surrey Center with a Skytrain extension). When it comes to mobility if the major need is for an inter Surrey circulator LRT with lower speeds and greater station access makes sense. If the major need is to connect to the rest of the Skytrain system and longer trips Skytrain makes more sense. Skytrain does not need to be surrounded by towers, it does not need to be ugly. These are political choices. Surrey has the power to zone midrises along the entire corridor (or single family houses and strip malls if it wants), complete with ground floor retain and fancy landscaping, some how I don’t think we will see that…with Skytrain or LRT. One further note, the Surrey LRT study is an embarrassment. About the most coherent argument it makes is that it will create lots of jobs…because it will spend lots of money (of course you create the same number of jobs paying someone to move a pile of dirt from one side of a road to the other side again…then bring it back…) and will have drivers that you have to pay (of course that will limit the frequencies they can afford to run, I would love to see what type of frequencies the King George line with a forecast 2000 people per hour per direction in 2040 will run…). It is clearly written by someone with zero understanding of transportation, not a good start for what is supposed to be their job. Surrey needs a transportation planner, not a landscape architect.